In Salt Lake, it's always time to step up to the plate. 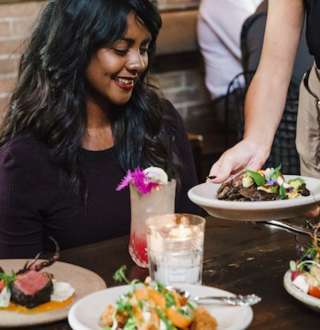 Sample regional and Southwestern favorites at casual family restaurants, or indulge in fresh pasta and seafood in more intimate surroundings. If you crave something exotic, you'll find a delightful ethnic mix available, from Afghan to Vietnamese. Friendly, relaxed brewpubs serve delectable appetizers and entrées with freshly brewed local ales. Cocktails and superb vintage wines are offered at most restaurants. To make it easy to find a restaurant for your group, we've created the search tool below that will show you the restaurants with private rooms and group options.